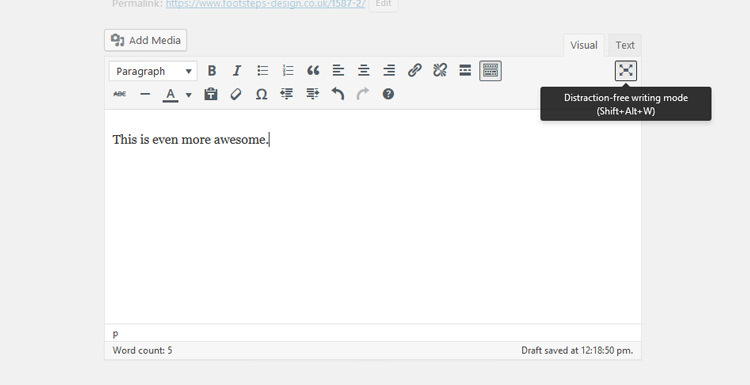 Home » Blog » Why The WordPress WYSIWYG Editor is Awesome! Most CMS’s come with a good WYSIWYG (What You See Is What You Get) editor, but it is common knowledge that the WordPress WYSIWYG Editor is notably awesome. And with each update it keeps getting awesomer. That’s right. You can embed videos straight to your page by pasting the URL into the WordPress WYSIWYG Editor. That means no more messing about with poxy embed codes and HTML view. Vimeo, DailyMotion, Hulu etc. are all supported. A common complaint with many WYSIWYG editors is that there are so many buttons. New users have no idea where to click. What’s great about the WordPress WYSIWYG editor is that there isn’t anything that doesn’t need to be there. WordPress by default will show just one row of essential editing buttons. If you want to get more technical than that, WordPress have included in a “kitchen sink button”. The kitchen sink button allows you to toggle on and off advanced options. Allowing less experienced users to get stuck in and learn how to use the WYSIWYG editor first – Without confusing them with advanced options. But it can help to reduce UI distractions with its Distraction Free Writing Mode. Simply clicking the Distraction Free Writing button transforms your page into a full screen editor. Removing everything that doesn’t need to be there completely. I know I’m not the only one who prefers writing content in WordPress’ WYSIWYG editor over MS Word. And that’s not a dig at MS Word, it’s simply massive kudos to WordPress. 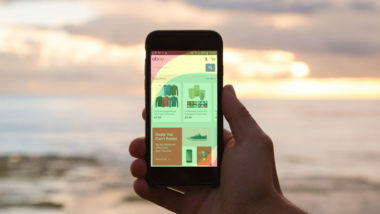 You can simply drag and drop the image straight from your computer to the WYSIWYG, and WordPress will take care of the rest for you. Remember, writing content takes a lot of creativity. And nothing stunts creativity like having to remember the rules of using a piece of software. You can still set all the image data, like the alt tags, title, caption (or even size) if you want to. Or you can come back to it after you finish writing. 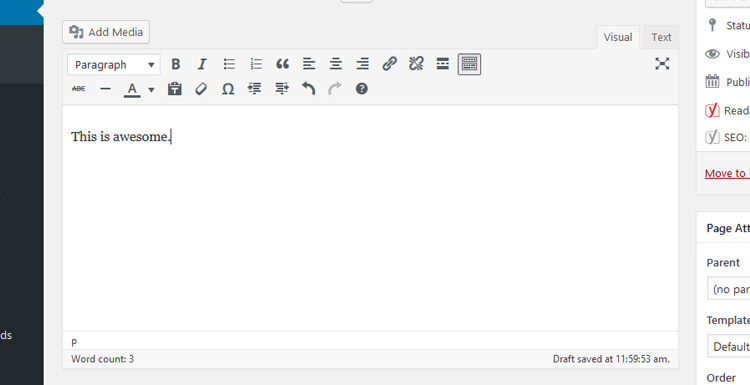 As mentioned earlier, WordPress have made a conscious effort to minimalise the WYSIWYG editor. And we all know this is a great thing. However if it was lacking something you need (and believe me it’s been hard to think of an example), a WordPress Developer can extend the WYSIWYG and include custom editing buttons. Okay let’s say your company uses a specific font for its logo. And every time you want to reference your company name, you want it in that specific font. This’d be a nightmare for anyone who doesn’t understand HTML. Matter of fact, you’d need to learn basic HTML – no two ways about it. But a WordPress developer can fairly easily go in and create another button that acts just like the bold button or the italics button that puts the font on for you. The WordPress WYSIWYG Editor is truly something special and I’m only touching the surface here when it comes to how great WordPress is. I’ve used a lot of CMS’s. Some are good for certain things and not so good for others. And WordPress has always impressed me on that front, there’s no one arguing about its versatile. Hopefully, if you was looking around for a good CMS, this has help to sell you onto WordPress. If it hasn’t you can try out some of the other main ones. And then come back to WordPress once you realise how awesome it is. Thanks you for reading this very biased blog post, if you enjoyed it make sure to share it on social media.